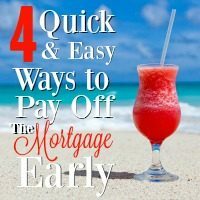 I recently wrote about some quick and easy ways to pay off your mortgage early, but talking to everyone about that made me realize one important thing – paying off the mortgage is not necessarily a good idea for everyone. In fact, for some people paying off the mortgage may do more harm than good. 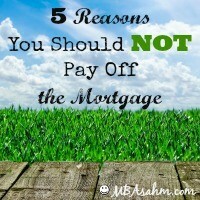 And for lots of people hanging onto the mortgage may actually help to grow their bottom line. 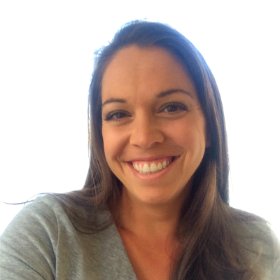 Recently, I wrote about the plan my husband and I have to pay off our mortgage in the next 10 years. Hearing all of your comments and ideas got me sooooo excited that I started thinking about how we could get it paid off in 5 years instead of 10. 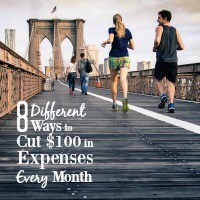 So we started talking about all the different ways we could convert some of our expenses into making larger principal payments – easy ways that would at least cut $100 in expenses each month. Now that I’ve officially left the “classic” work force, I’m in a position where I need to be really creative with how to contribute to our income. More specifically, how to contribute to our disposable income. One way to do that? 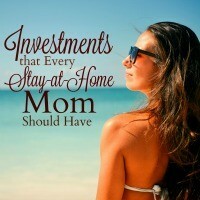 Cut out the largest (by far) monthly expense and pay off the mortgage. I originally published this post last summer (if you can believe it, it was actually my FIRST EVER post! ), but I feel like it’s really important to bring it back with everything I’m hearing in the news lately. If you haven’t been keeping up, here’s what you’re missing: First, there’s the constant reminder that the projected cost of college for a child born in 2013 ranges from $150k to a whopping $400k. Then, there’s the pending reality that in one year 1% of the world’s population will own 50% of the world’s wealth. So if you’re not in that 1%, you’re actually more likely to get poorer than richer. So without further ado, here are the reasons why you need to start saving now for your kids to go to college. 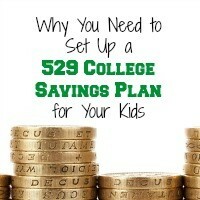 And more specifically, why you need to put that money in a 529 College Savings Plan.